Thanksgiving is right around the corner and we at McCormack Plastic Surgery have lots to be thankful for. In addition to the many wonderful patients we are privileged to care for, we have an amazing surgeon committed to providing the most cutting edge treatments in the safest possible environment. 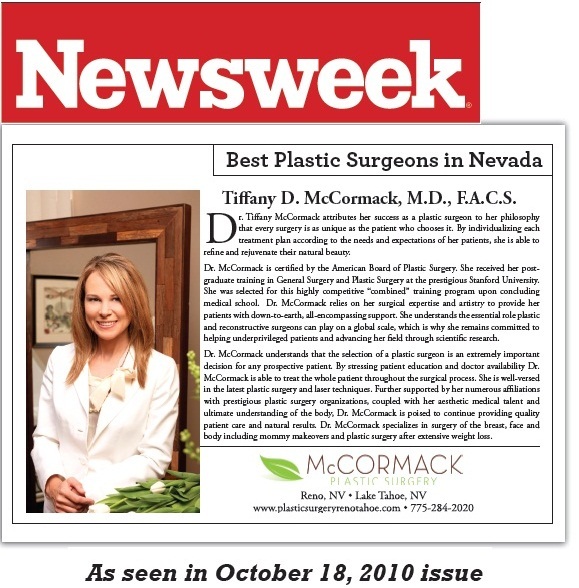 We are proud to see Dr. McCormack recognized in a recent issue of Newsweek Magazine as one of The Best Plastic Surgeons in Nevada. You can view her feature by clicking on the image below.